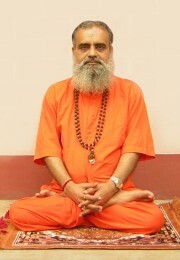 Sadguru Swami Sadhanananda Giri is a living Kriya Yoga master from the ancient unbroken lineage of Kriya Yoga masters of India. The designation of Sadguru, sometimes also spelled Satguru, indicates a True or enlightened guru who has accepted the sacred responsibility for the spiritual upliftment of his disciples. (Read more here.) 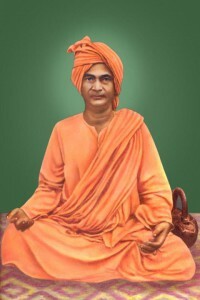 Swami Sadhanananda is a direct disciple of Swami Bhabananda Giri, who was a direct disciple of Swami Sriyukteswar Giri. 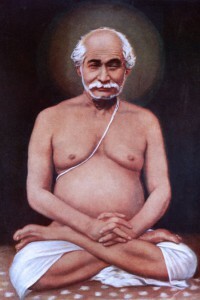 Consequently, Sadhananandaji is also a “spiritual nephew” of Paramhansa Yogananda, who first brought Kriya Yoga to the West. 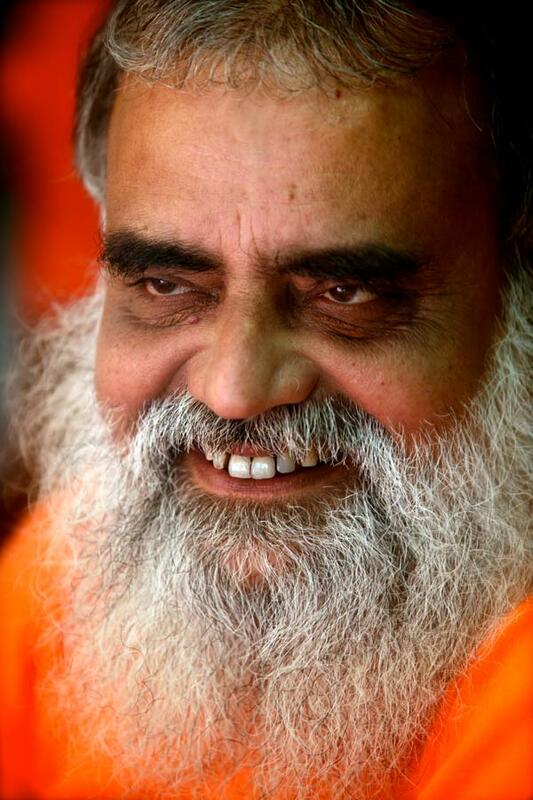 Swami Sadhanananda Giri has initiated a number of Kriya Yoga practitioners in India, USA, UK, Ireland, and various European and Asian countries. He has authored many books, one of which has been translated to English. His devotional songs and videos have been published as audio CDs and DVDs and sold all over the world. Swami Sadhanananda Giri founded Jujersa Yogashram in West Bengal, India in 1977. Over the past three decades, he has spread Kriya Yoga through initiations, lectures and songs providing subtle insight into the nature of sadhana (sacred spiritual practice). Many people visit him at his Ashram in India to get initiated in the sacred path of Kriya Yoga. After many years of persuasion from American disciples, His Holiness blessed the USA with his presence in August 2009. Swamiji’s trip in 2009 sowed the seeds of what would become a nonprofit organization dedicated to ideals of the original Kriya Yoga as passed down by unbroken lineage of realized Kriya masters. Swamiji was born on October 8, 1951 (at the dawn of auspicious Mahasthami) in Sainberia, a remote village in southern West Bengal. His childhood was like any other village boy. 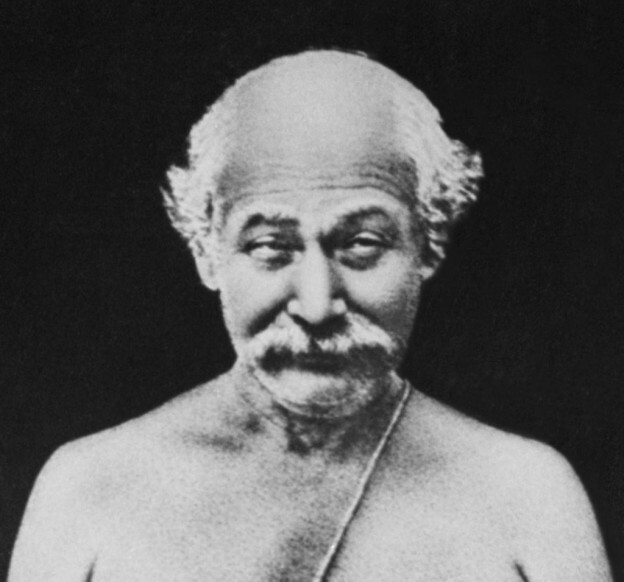 After Upanayan or Brahmin sacred thread initiation ceremony at the age of 13, he came across the famous verse from the Bhagavad Gita: “ananyaaschintayanta maam ye janaah paryupaasate / tesham nityaabhiyuktaanaam yogakscemam vahaamyaham (9/22)”. (The holy God takes upon Himself the entire responsibility of one who is exclusively devoted). This verse stirred him so much that he started pestering everyone around him about how to find God. He soon realized that he needed a Sadguru to guide him, so he renounced his home and began searching throughout India, sometimes starving for days at a time. Then through a miraculous event at the holy city of Haridwar, he was guided to the feet of his Guru, the exalted Swami Bhabananda Giri, at Midnapore. 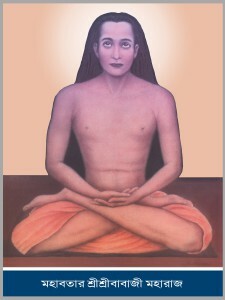 Swami Bhabananda affectionately took him under his arm and initiated him in Kriya Yoga. Then he started a life of sincere sadhana (focused spiritual practice). Gradually crossing the stages of yogic sublimity one after another, he reached the final goal within an unusually short time. 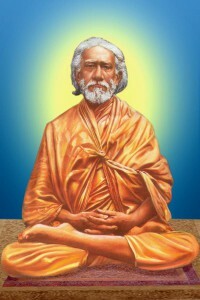 After his self-realization, he was asked by his guru Swami Bhabananda to begin the life of Acharya or an approved Kriya teacher, who can initiate others in Kriya Yoga. In order to meet the needs of Kriya practitioners, he has authored several books and his wisdom and profundity of thought have turned out to be of great significance in the world of theology. To his many devotees and admirers he is the embodiment of godliness. He holds the key to self-realization and following his guidelines one can cross all barriers to attain the summit of human achievement. We are most fortunate to have him in our midst during these troubled times.